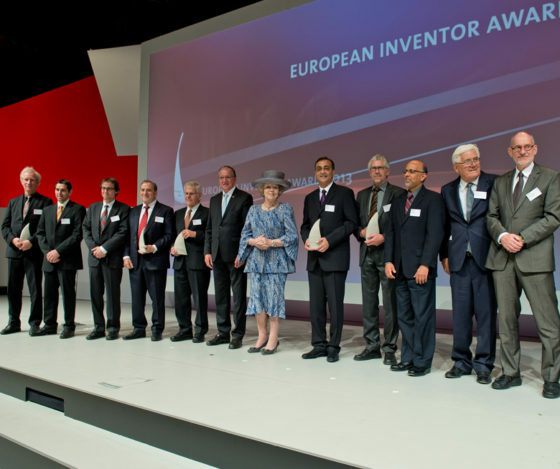 The European Inventor Award honours outstanding inventors for their contribution to social, economic and technological progress. 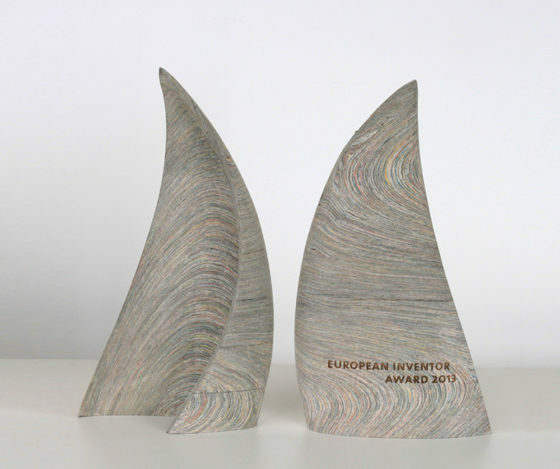 Winners of the European Inventor Award are presented with a trophy in the shape of a sail. An enduring symbol of exploration and human ingenuity, the sail recalls how an inventive idea can propel humankind to uncharted shores. The trophy was conceived by German industrial designer Miriam Irle and is crafted with new materials every year, highlighting the ever-changing nature of innovation. 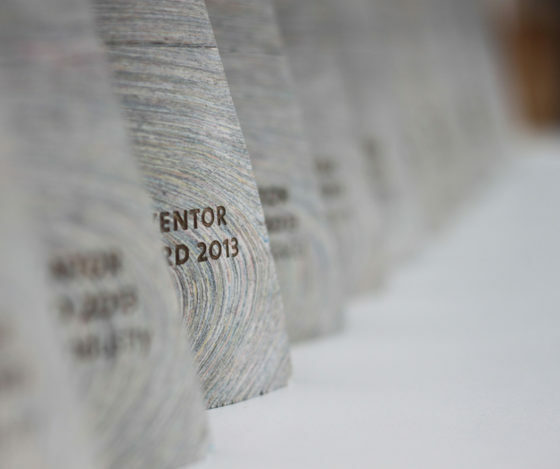 In 2013, the award was made from NewspaperWood! The guests attended the award ceremony at the Beurs van Berlage in Amsterdam, included Her Royal Highness Princess Beatrix of the Netherlands, Sander Dekker (the Netherlands State Secretary for Education, Culture and Science) and Michel Barnier (the European Commissioner for Internal Market and Services).